Made from scratch Perfect 1-Hour Garlic Knots that taste and smell like you worked on them all day. Homemade bread in 60 minutes? It might be hard to believe, but I speak the truth! 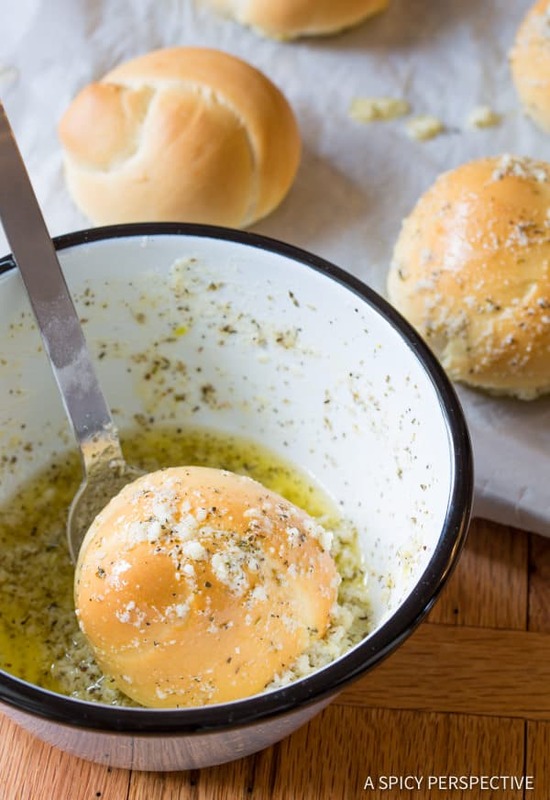 By just fudging a little on the knead time and rise time, you can make these fluffy tender yeasty knots, dripping with garlic herb butter, in about an hour. A few minutes less, if you happen to have double ovens. The trick is to speed up every step a bit. Reduce the yeast foaming time from 10 minutes, to just 5, by adding flour to the mixture early on. The flour gives the yeast something to hold onto and helps it activate quickly. 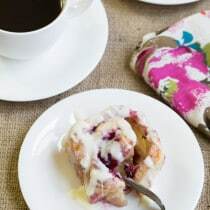 Then hurry the kneading time by making your electric mixer work overtime on medium-high, instead of kneading on low. Skip the traditional process of letting the dough rise twice. 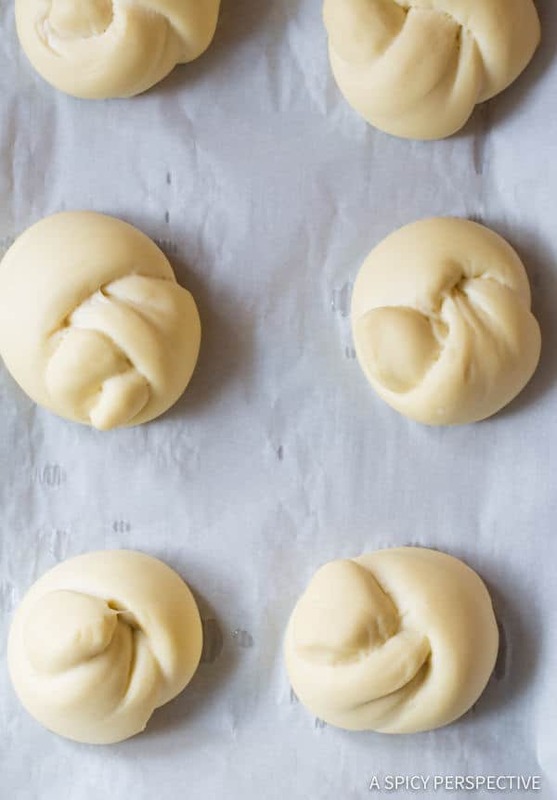 Instead, tie the freshly kneaded dough into knots, brushed them with water so they wouldn’t dry out, and let them rise in a low temperature oven for just 20 minutes. Notice how the knots puff up so much they almost lose their knotty-ness? This is a good thing. It ensures every bit of interior bread is soft and pillowy. P.S. 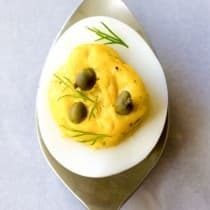 This quick-rise method works well with other small yeasty items like rolls. Particularly if the recipe is egg-free. However, I wouldn’t risk it with large loaves of bread. Finally, place the rolls back in a hot oven and let them bake to golden perfection. 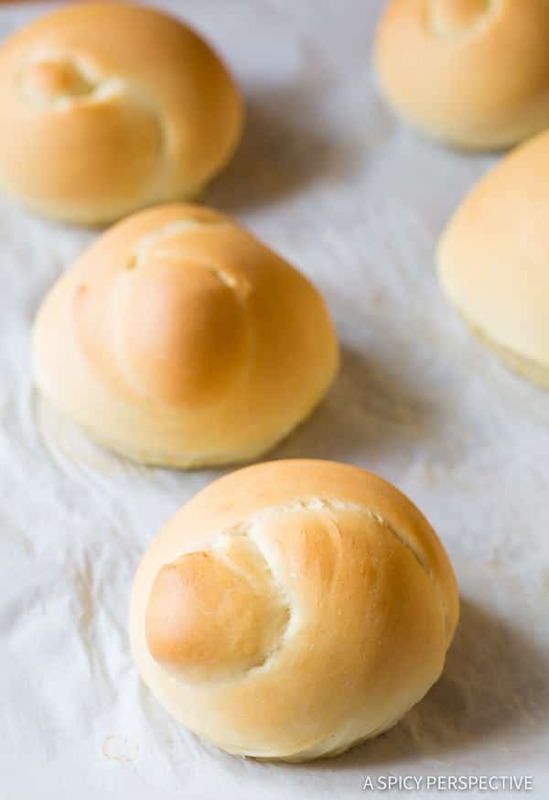 The knotted rolls are soft and sumptuous, with a light wheaty flavor. They are pretty delicious on their own, but even better drenched in garlic butter and sprinkled with parmesan cheese. Perfect 1-Hour Garlic Knots are a welcomed addition to any meal. They make great party snacks with a side of homemade marinara for dipping, and are guaranteed to be the first item on the table to disappear. 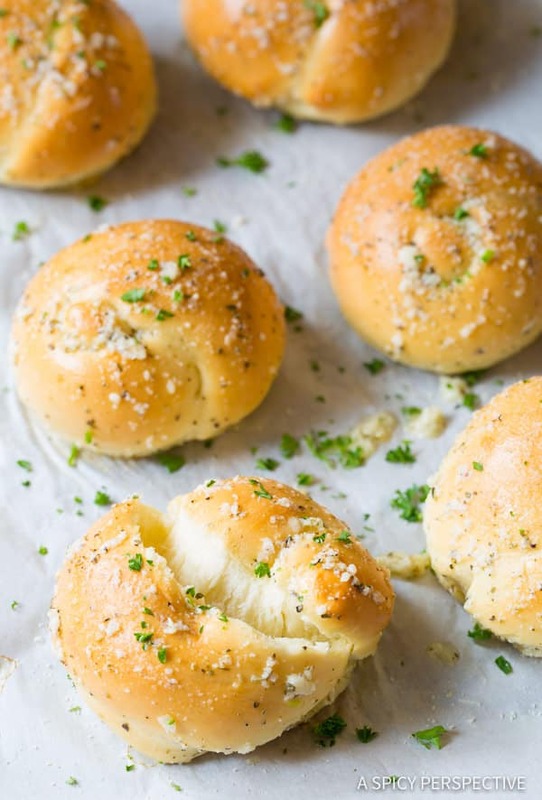 So forget the frozen pre-made bread, and try this easy Perfect 1-Hour Garlic Knots recipe instead. 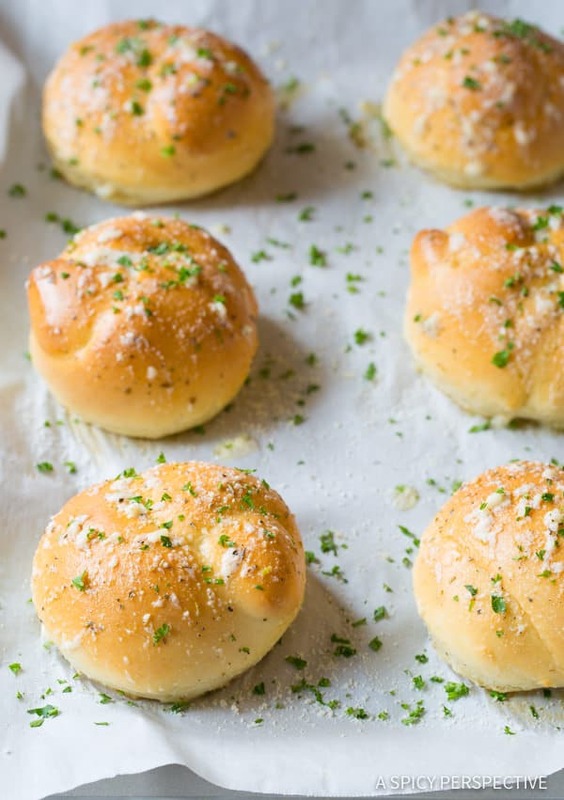 Perfect 1-Hour Garlic Knots Recipe – Amazing made from scratch garlic knots in 60 minutes! 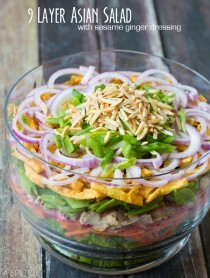 A perfect side dish or party snack with light fluffy texture. Preheat the oven to 180 degrees F. Line two baking sheets with parchment paper and set aside. 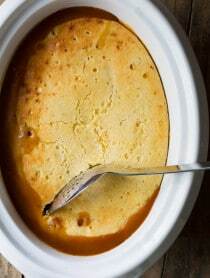 Place the milk in a small sauce pan over high heat and bring to a boil. (You could also microwave the milk for 2-3 minutes to boil.) Pour the milk in the bowl of an electric mixer, then add 1/2 cup (1 stick) butter to the hot milk and stir until it melts. Add the sugar, 1 cup flour, and 1/2 cup ice cold water to the mixing bowl. Stir and touch the mixture for temperature. It should now be just slightly above room temperature as to not kill the yeast. Stir in the yeast and let it foam for 5 minutes. Using the bread hook attachment, turn the mixer on low. Add 2 teaspoons salt, and the remaining 4 cups of flour. Turn the mixer up to medium-high and knead for 5 minutes. 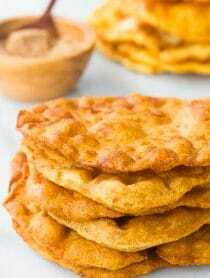 Then dump the dough out onto a lightly floured surface and cut it into 12 equal pieces. 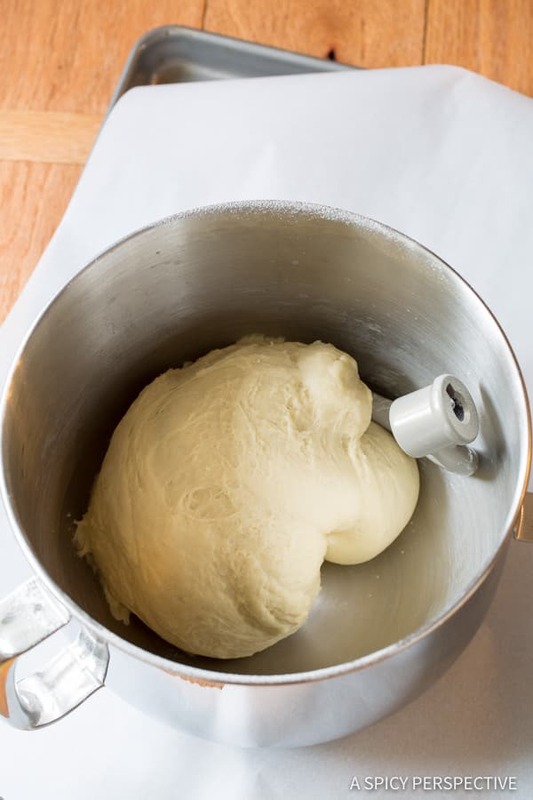 Stretch each piece of dough out to about 6-7 inches, then tie into a loose knot. Place the knots on the baking sheets 4 inches apart. Then brush them well with water, so they don’t dry out, and place them in the low-temperature oven to rise for 20 minutes. 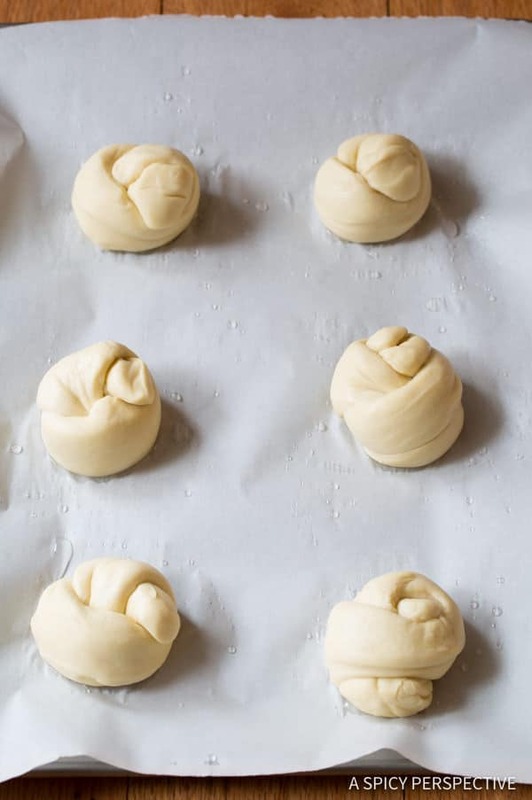 Once the knots have expanded in the oven, remove them from the oven and raise the temperature to 375 degrees F. When the oven reaches 375, place the knots back in and bake for 15-20 minutes, until slightly golden. Meanwhile, melt the remaining 1 cup butter and season with minced garlic, 1 teaspoon salt, and 1 teaspoon italian seasoning. Once the knots are out of the oven, dunk them in the garlic butter and turn to coat. Place them back on the baking sheets and sprinkle with parmesan cheese. (Mine have a little parsley on them as well.) Serve warm! NOTE: If you have double ovens, you can set one to 180 degrees F and one to 375 degrees F, for an even faster transition. Are you able to make the dough up the night before and freeze it? I have my second batch of these rolls rising within a week of finding this recipe. Big thumbs up to this one. 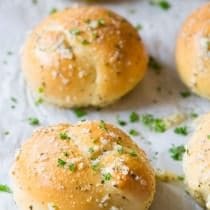 HUGE rolls that are soft and tender. I put the garlic butter on the first batch but on the batch I’m baking now I am just going to egg wash and sprinkle with sesame seeds. That way I can put butter and jam if I desire. It is the most beautiful dough to work with, all soft and elastic. I weigh my whole batch of dough then divide by 12 so I can make sure they are all the same size. Today I didn’t have enough all-purpose flour!! so I subbed one cup of bread flour. The dough is gorgeous. These would be great for Thanksgiving, with or without the garlic butter. 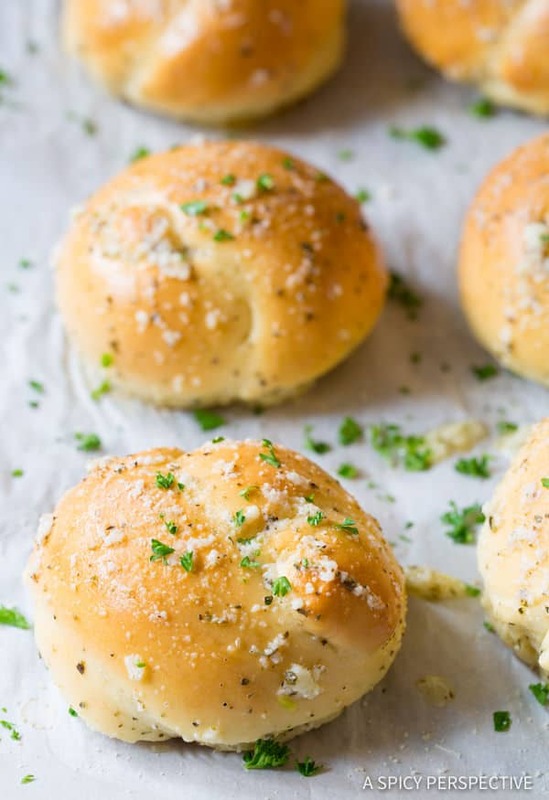 There is the pizza shop I frequent way too much just for these garlic knots….OMG now I don’t have to these look even better!!! 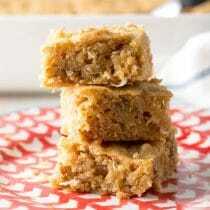 This is the best “cheat” system for quick bread! Love that it’s only 60 minutes to garlic goodness! One hour to delicious carb heaven? Yes, please! 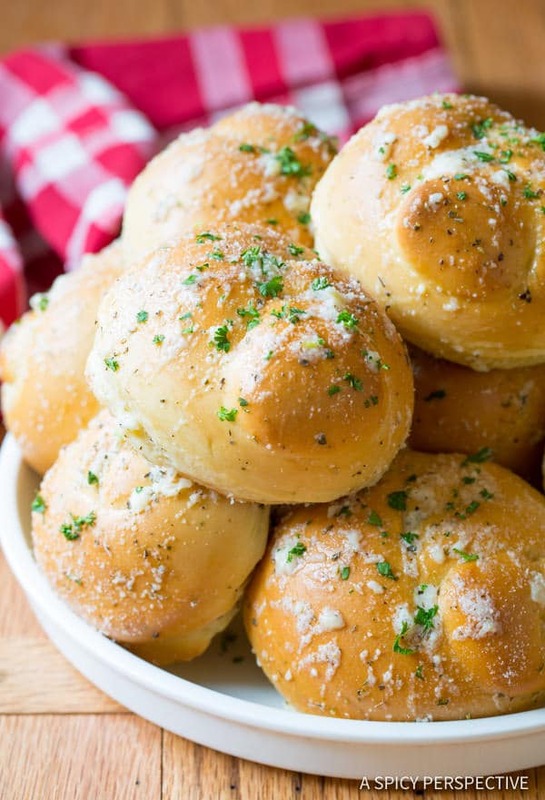 Those garlic knots look amazing! I would probably inhale the entire batch straight from the oven! 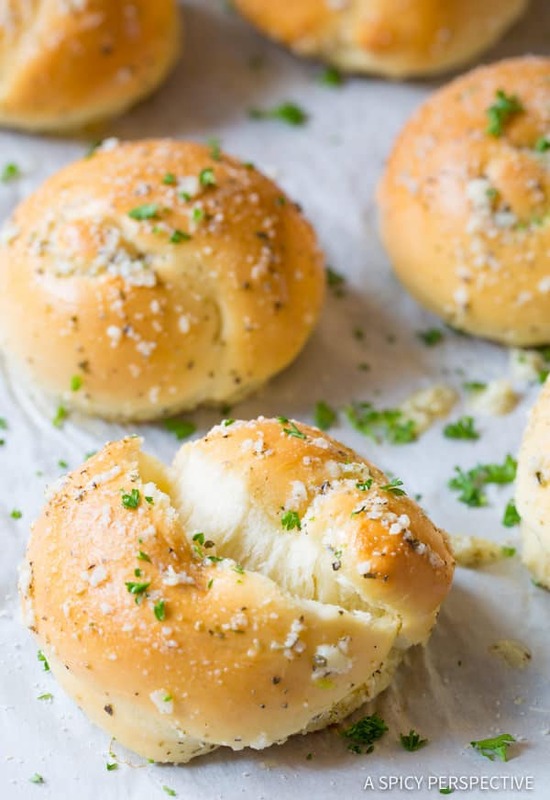 It doesn’t get much better than homemade garlic knots! These look great! And easy to do! Now this looks like my cup of tea! :) Love garlic! Beautiful pictures! All that buttery, garlicky sauce….. I am looking forward to trying this great, speedier method. Thanks. One of my favorites! 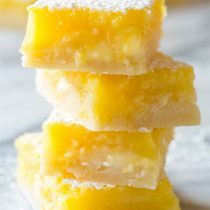 I don’t make them often because I would eat 10 at a time. These look so good. Thanks for sharing. Garlic, and an excuse to bake.